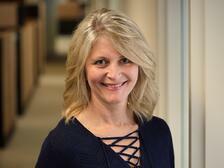 Shining a spotlight on women executives, entrepreneurs, and organizations run by women, winners in the 2018 Stevie® Awards for Women in Business were announced on Friday, November 16. The Stevie Awards for Women in Business is an international competition produced by the creators of the prestigious International Business Awards® and American Business Awards®. The Stevie is widely considered to be the world’s premier business award. 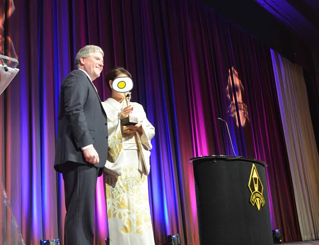 With more than 500 businesswomen and their guests in attendance, the awards were announced at a gala dinner at the Sheraton New York Times Square Hotel. Nations represented at the event included Australia, Canada, France, Germany, Hong Kong, Switzerland, U.S.A., United Kingdom, and Vietnam, among others. More than 1,500 nominations from organizations and individuals in 33 nations were submitted to the awards this year for consideration in categories including Entrepreneur of the Year, Executive of the Year, Most Innovative Company of the Year, and Startup of the Year, among others. Winners were chosen by more than 200 business professionals working in six specialized judging committees to determine the Gold, Silver, and Bronze Stevie Award placements. Grand Stevie Award trophies were presented to the five organizations that submitted the best body of entries to the competition, in their own names or in the names of one or more clients. 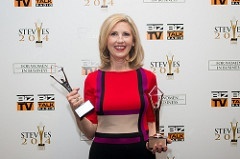 Winners were determined by the number of Gold, Silver, and Bronze Stevie Awards won in the competition. The 2018 Gold, Silver and Bronze Stevie Award winners reflect a diverse group of large and small organizations from around the globe. 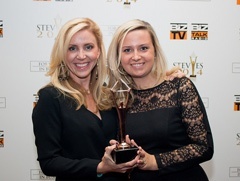 Organizations that won more than one Gold Stevie Award include Dignity Health, iTalent Digital, Jeunesse Global, LoveBug Probiotics, Plan International Canada, Simpson Healthcare Executives, The Cura Foundation, Thomson Reuters, and Tick Tock Boom Digital Agency. Entries for the 2019 edition of the awards will open in May. Finalists were announced today in the 14th annual Stevie® Awards for Women in Business, the world’s top honors for women entrepreneurs, executives, employees and the organizations they run. This year’s Gold, Silver and Bronze Stevie Award winners will be announced at an awards dinner at the Marriott Marquis Hotel in New York City on Friday, November 17. More than 500 women and their guests from around the world are expected to attend the presentations, which will be broadcast live on Livestream. More than 1,500 entries were submitted this year by organizations and individuals around the world for consideration in more than 90 categories including Executive of the Year, Entrepreneur of the Year, Startup of the Year, Women Helping Women and Women-Run Workplace of the Year. Organizations with multiple finalists in a variety of categories include, among others: ARIIX (Bountiful, UT, US), Clariti Group (Brisbane, Australia), FIS (Jacksonville, FL, US), Forward (New York, NY, US), Jeunesse Global (Lake Mary, FL, US), Oceans 2 Earth Foundation (Brisbane, Australia), Pink Elephant (Burlington, ON, Canada), Simpson Healthcare Executives, LLC (Old Lyme, CT, US), Songpa-gu (Seoul, South Korea), Tavuu Welfare Association (Karachi, Pakistan), The International Society for Pharmacoeconomics and Outcomes Research (ISPOR) (Lawrenceville, NJ, US), Tropic Skincare (London, United Kingdom), Vaco Los Angeles (Los Angeles, CA, US) and ZingBox (Mountain View, CA US). You've been busy. Summer's over and you're getting back into the swing of things. 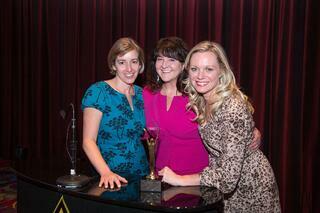 Whatever the reason, you didn't get around to submitting entries to this year's Stevie Awards for Women in Business. But you've gotten a reprieve. We have some tips on how you can submit your nominations in as little time as possible. The last day final entries wil be accepted is Friday, September 30. We know, you're still busy. Your calendar this week is still chockablock. But surely you can find 10 free minutes. Because in 10 minutes you can prepare and submit an entry to the Stevie Awards for Women in Business and potentially win a Stevie®, one of the most coveted trophies on the planet. The submission requirements are fairly open-ended, and there's a wide variety of categories to choose from. If you've entered any other awards programs this year, simply repurpose the nominations you wrote for those competitions, as long as they qualify as being run by women. Most categories require only the submission of an essay of up to 650 words and a bullet-list summary of the achievements portrayed in the essay. It's likely you've already done the heavy-lifting of describing your organization's achievements, your innovations, your new products and services, your marketing and PR campaigns, etc. Throughout the year you've been trumpeting your successes through press releases and white papers. Simply comb through your output over the past year and cobble together the text you've already written into a short essay. Note that the 2016 Stevie Awards for Women in Business will recognize your achievements since the middle of 2015. Sometimes you hope to win a Stevie for a specific reason - for a major achievement, or a member of your team - but you can also win a Stevie Award for specific media work. If that's the case, take a look at the categories for videos, apps, websites, publications, and live events. It's really easy to enter these categories. These categories generally require only a short essay of up to 125 words, describing the nominated work's purpose and results to date, and the nominated video or app, etc., itself. Whichever strategy you choose to get your nominations written and submitted this week, do get them submitted by the final entry deadline of Friday, September 30. 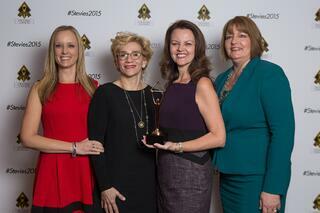 Ready to Enter the 2016 Stevie Awards for Women in Business? 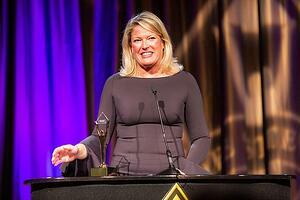 More than 400 finalists and their guests from around the world will gather this Friday, November 13 at the Marriott Marquis Hotel in New York City for the 12th annual Stevie Awards fror Women in Business. These are the world’s top honors for women entrepreneurs, executives, employees, and the organizations they run. Grand, Gold, Silver, and Bronze Stevie Award winners will be announced. More than 1,400 nominations from organizations and individuals in 26 nations were submitted to the awards this year for consideration in categories including Entrepreneur of the Year, Executive of the Year, Most Innovative Company of the Year, and Startup of the Year, among others. More than 160 professionals around the world participated in the judging process to determine the Finalists and then the Gold, Silver and Bronze Stevie Award placements. 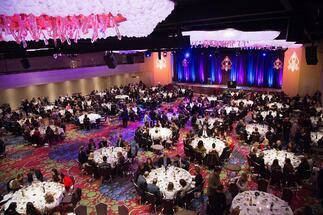 The awards will be broadcast via Livestream at 7:30 pm ET via the Stevie Awards’ Facebook page. Dental Assisting National Board Inc. Photos and videos from the event will be available next week. Finalists were announced today in the 12th Annual Stevie® Awards for Women in Business, the world’s top honors for women entrepreneurs, executives, employees, and the organizations they run. This year’s Gold, Silver and Bronze Stevie Award winners will be announced at an awards dinner at the Marriott Marquis Hotel in New York City on Friday, November 13. Tickets are now on sale. 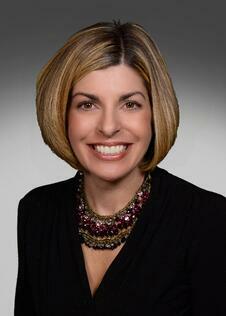 More than 400 women and their guests from around the world are expected to attend. The event will be broadcast on Livestream via the Stevie Awards’ Facebook page from 7:30 pm ET, and the red carpet pre-show will air on the Stevie Awards’ Periscope from 6:00 pm ET. Among the leading contenders with five or more Finalists are Accenture, Chicago, IL; AT&T, Dallas, TX; Collectively, San Francisco, CA; DHL Express Worldwide; Digital Air Strike, Scottsdale, AZ; Digital Risk, Orlando, FL; iFinance Canada Inc., Toronto, Canada; Jacobson Strategic Communications, Philadelphia, PA; LLORENTE & CUENCA, Madrid, Spain; Ooredoo, Doha, Qatar; Pink Elephant, Burlington, ON, Canada; Red Hat, Raleigh, NC; Roshan, Kabul, Afghanistan; and Synchrony Financial, Stamford, CT.
Finalists were chosen by more than 120 business professionals worldwide during preliminary judging. Members of five specialized judging committees will determine the Gold, Silver and Bronze Stevie Award placements from among the Finalists during final judging that begins on October 19.